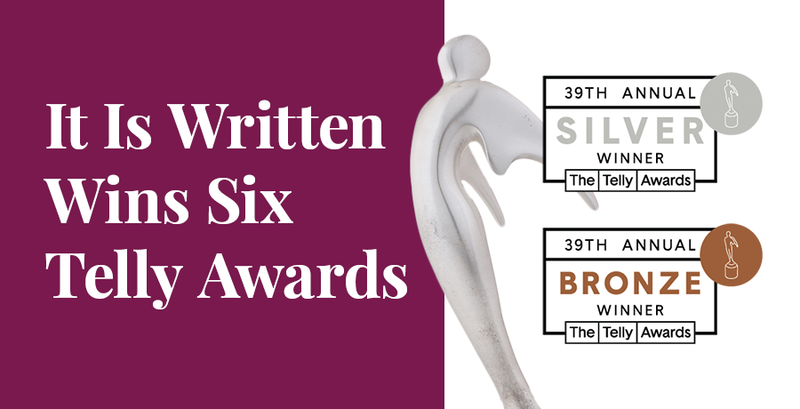 It Is Written is pleased to announce that its production team has won six Telly Awards. The Telly Awards honors excellence in video on all screens and received over 12,000 entries this year from all over the country and the world. It Is Written’s “A Lamp Unto My Feet” won a silver award in the General Biography category, competing against others like NBC Sports Group, CBS Sports, Telemundo, and In Touch Ministries. “Effective Prayer” won two bronze awards for General Religious/Spiritual and General Education. Another General Religious/Spiritual bronze award was given to “The Holy City.” “Rome and the Reformation” received a bronze award for General History. Escrito Está, It Is Written’s Spanish-speaking ministry, won a bronze award for “Desmond Doss: El héroe de Okinawa” (“Desmond Doss: The Hero of Okinawa”) in the General Religious/Spiritual category.